Had another solid season in 2016 with his versatility again coming to the fore as he was required back, forward and through the middle throughout the year, highlighted by his 25-disposal, two goal effort against the Tigers in round four. 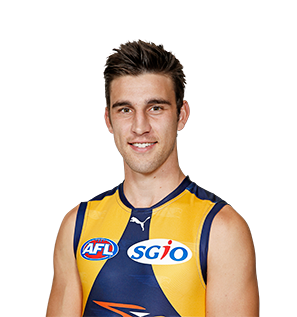 Reached career-high averages for kicks, tackles, inside 50s, uncontested possessions and goal-assists in 2016. Will continue to evolve as a big-bodied, midfielder in the coming years.